Amershield is a high-gloss, high-build, abrasion and chemical resistant two part 4:1 urethane topcoat that can be applied over steel and concrete substrates. Amershield is an aliphatic polyurethane with a unique acrylic and polyester blend that provides superior performance in abusive environments when compared to other aliphatic polyurethanes. Ameron Performance Coating's Amershield is available in two VOC compliant formulas that cover all of California's air quality requirements, standard Amershield can be applied in areas with a regulatory VOC of 270 grams per liter and greater while Amershield VOC can be applied in areas with a regulatory restrictions of less than 100 grams per liter (California Architectural Rule/SCAQMD Rule 1113 Industrial Maintenance Coatings). 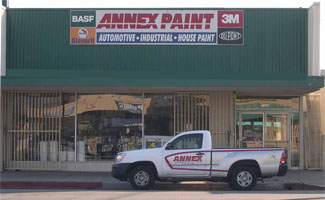 Amershield VOC displays high gloss and excellent color and gloss retention during extended service periods. 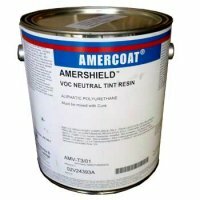 The direct-tometal capabilities of Amershield VOC provide a single-coat systemat reduced installation cost for use in protected environments. Compatible over prepared, smooth cold-rolled steel and abrasive blasted hot-rolled steel. Amershield VOC has excellent adhesion to concrete providing a durable, glossy, easy-to-clean flooring system.May be used over Amerlock® as a durable,weather-resistant topcoat for extra heavy duty service; over zinc-rich epoxy coatings as a direct topcoat; over intact, old paint as amaintenance product. A full color range is available in the PPG Rapid Response color systemto provide timely delivery.